Go Daddy CEO Warren Adelman recently promised a less salacious image for the company, and its new commercial, set to air in the US during the London 2012 Olympics, delivers. The attractive female spokemodel is still in attendance, but she’s matched up with a data center geek stereotype. The idea is to show that the company is not just a pretty face. Or something. Unless it’s nothing more sophisticated than a “beaver” joke, the otter reference went completely over my head. UPDATE: A reader speculates that the otter may be a high-brow reference to the Leonardo painting Lady With An Ermine. 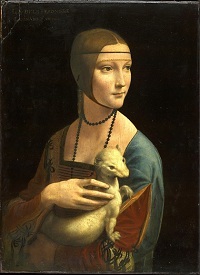 According to Wikipedia, the ermine (a stoat) may be intended to symbolize purity, despite the fact that the subject of the painting is believed to be the 16-year-old mistress of Leonardo’s employer. I thought it was a cool approach and did it’s job ! 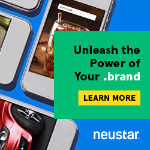 i expected more from a large ad agency.